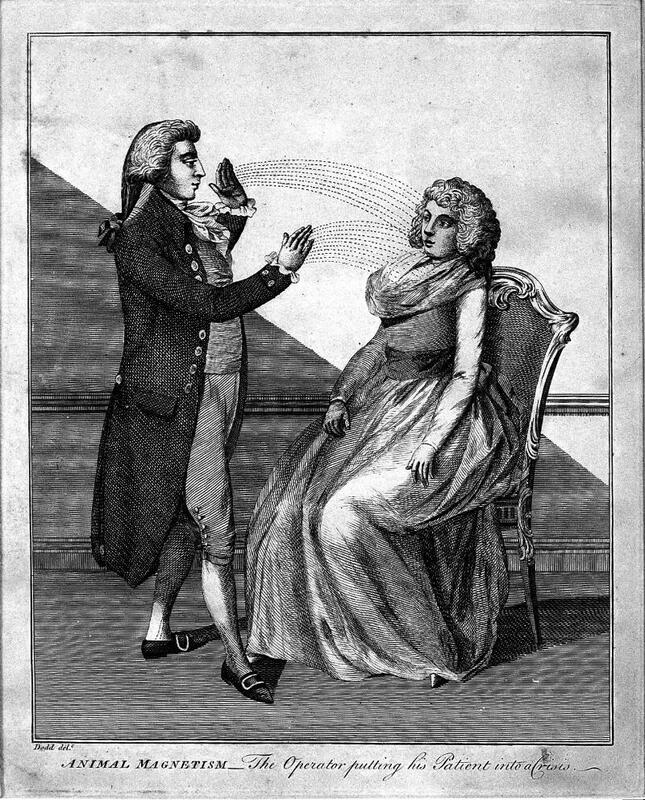 A man hypnotising a woman using the animal magnetism method. Engraving, 1802, after D. Dodd. Animal magnetism. The operator putting his patient into a crisis. Dodd delt.